A ski in/ski out chalet in Meribel is the ultimate convenience for skiers who want to get to the fresh powder before anyone else in the morning. 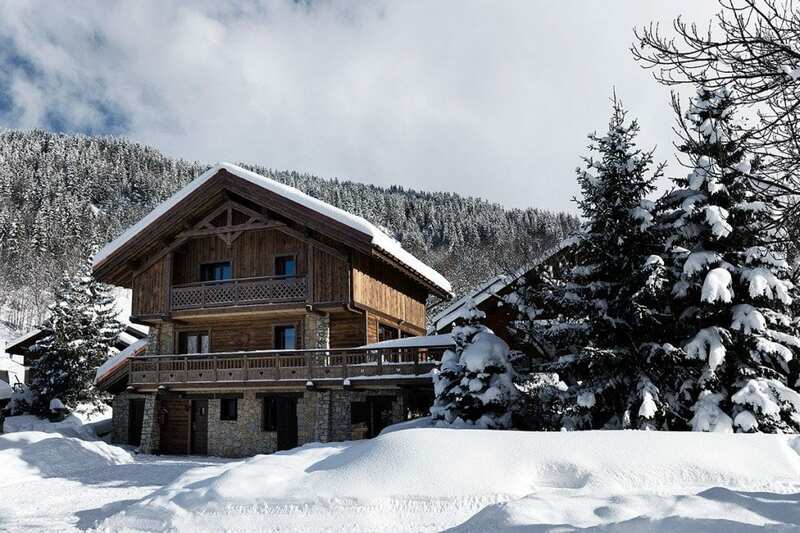 Being able to ski in and out of your chalet is deemed a ‘must have’ for many seasoned skiers who want awesome skiing without the hassle of queueing for ski lifts/buses to the mountain. Meribel is unquestionably the prettiest resort in the Three Valleys and has an unlimited choice of activities for both skiers and non skiers alike. Nothing beats stepping outside the door to your catered chalet and being straight on the slopes. Here we detail Ski Basics’ top ski in/ski out chalets in Meribel so that you can be sure of maximising the time on the slopes on your next ski holiday. Having recently undergone a complete refurbishment, Chalet Hermine is a beautifully-presented ski in/ski out chalet in Meribel which ticks all the boxes. It is just a few steps away from the Golf Chairlift in the heart of Meribel village, and even has a wrap-around deck meaning that you can relax in style under the night sky after a busy day on the slopes. Chalet Hermine sleeps 10 guests and guests staying at this popular ski in/ski out chalet will benefit from our Ski Basics plus+ service, including unlimited beer and a selection of carefully chosen wines. The icing on the cake of Chalet Hermine is the hammam-style steam room- guaranteed to warm and ease tired muscles at the end of a long day skiing. 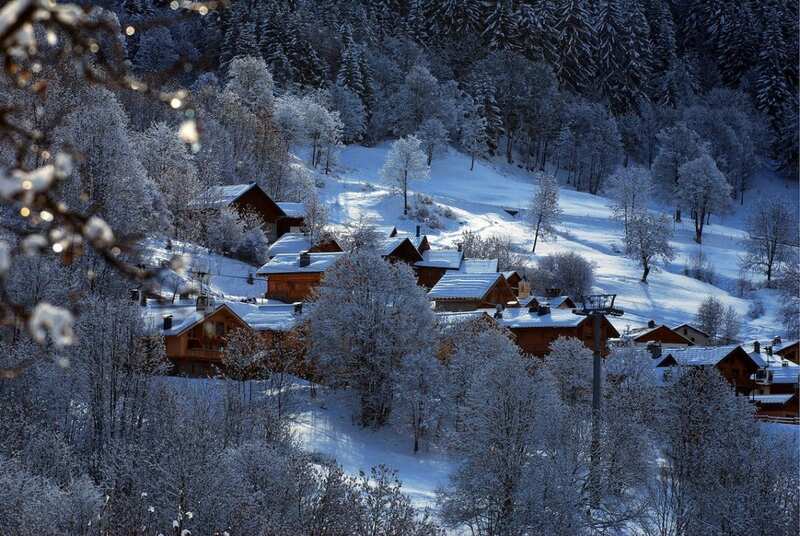 Peruse the prices and check availability for Chalet Hermine here. Chalet Etoile is a charming six bed ski in/ski out chalet, situated in the heart of Meribel Village. Located in a quiet street behind Meribel Village bakery and in close proximity to the Golf Chairlift, Chalet Etoile is perfectly located which makes it a firm favourite. The bakery is perfect for snacks and takeaways, whilst the Golf run will bring you all the way home after a long day on the slopes. The high-speed Golf chairlift will take you straight to the Altiport (an absolute mecca for beginners) and also connects you to the outstanding Three Valleys lift network for those wishing to head further afield. The free navette will whisk you into town for those who fancy a spot of shopping, and the supermarket will ensure that your pockets remain stuffed with chocolate at all times. This awesome ski in/ski out chalet in Meribel really does tick all the boxes for budget, location and style. Chalet Boulangerie is a perfectly-located eight bed chalet, situated above the delightful Boulangerie in Meribel Village. Wake up to the delicious aromas from the bakery, take in the view of the pistes from the wraparound terrace and watch the Golf chairlift whir into action for first lifts. A repeat favourite for families and friends alike, this ski in/ski out chalet in Meribel is only 30 metres from the piste and cannot be beaten on location, allowing you to optimise every minute of your holiday. Enjoy an extra fifteen minutes in bed and be first on the chairlift, the free Navette circulates from Meribel Village to La Chaudanne, meaning you have a choice of skiing start-points, and the excellent Golf Chairlift will get you up and out into the Three Valleys in no time, saving you from the queues and allowing you to get carving from the word go. Chalet Victoire is one of our newest eight bed ski in/ski out chalets, tucked away behind the bakery in Meribel Village. Decorated to the highest standard by its art dealer owner, Chalet Victoire blends its cosy ambiance with contemporary style. Featuring a fabulous antique dining table, bespoke lighting and adorned with carefully chosen artwork from around the world, Chalet Victoire promises you a holiday to remember. This chalet is just minutes away from the high speed Golf chairlift and benefits from a stand-alone chalet in a quiet location guaranteeing you privacy and peace. Make the most of the fantastic sauna with separate shower room, sit back and relax on the sumptuous sofas, and savour the divine aroma of a four course meal being prepared to really let that holiday feeling sink in. If you’d like to speak to us about booking a ski in/ski out chalet in Meribel or would like more information about anything we’ve discussed here please don’t hesitate to get in touch and we’ll be only too happy to assist. Get in touch via our contact page or over on Facebook.